My friend Starlene wrote this wonderful book called, Baking with Coconut Flour. This book is amazing and will appeal to anyone who is an avid baker. Baking with Coconut Flour walks you through the process of switching a regular recipe to a coconut flour version. Coconut flour is like flour that has PMS all the time. Coconut flour is notorious for creating baked goods that are too dense, too moist, too eggy, too brittle etc. If you like to bake and are on a gluten free/grain free diet it is important to learn how to work with this annoying flour. I put Starlene’s book to the test and decided to give my mom’s herbed biscuit recipe a coconut flour makeover. Before you attempt giving your recipes a makeover you should read Starlene’s book from start to finish. Think about and understand why she uses the ratios she uses and read through the tutorials she provides. I did all of that and was ready to attempt my biscuit makeover. To apply Starlene’s rules I needed to switch ¼ cup of coconut flour for every 1 cup of wheat flour in the recipe. That means the 2 ½ cups of all-purpose flour is now ½ + 2 tbsp of coconut flour. Then I proceeded to change the other ingredients according to Starlene’s rules. It sounds like this is a lot of work but it really isn’t. I felt the recipe was a success that needed one change! The taste was good but the biscuit were a little fragile. If you notice in the original recipe I needed to use one cup of milk. I’ve found in my coconut flour baking experiences that liquid like milk, coconut milk, almond milk etc. added to coconut flour recipes creates a fragile baked good. Since the 1 cup of milk in the original recipe makes the coconut flour version too fragile I swapped ½ cup of milk for 2 eggs. The thought behind this is 1 egg measured equals ¼ cup of liquid. If I take out ½ cup of liquid I can switch it for ½ cup of eggs that are still liquid but eggs will provide extra structure. You’ll also notice I left the recipe as a dairy version. I did this on purpose. First I wanted the butter taste for a biscuit and secondly it wasn’t fair to judge Starlene’s method by creating too many changes to the original recipe. If you want a dairy free version, switch the milk for ½ cup of almond milk and use coconut oil or ghee instead of butter but I never tested this version and it would alter the taste significantly. The first time I baked the grain free biscuits I used a flat baking sheet which resulted in the biscuits doubling in size but in width and not height. For the 2nd version I used this mini loaf pan and mini loaf pan liners that kept the batter from spreading all over. Baking with Coconut Flour is on sale until March 31st for $11. Grab it before the 40% off sale ends and the price jumps to $18. You’ll love being able to convert your recipes RIGHT the first time instead of wasting cartons and cartons of eggs experimenting. Go here to purchase Baking with Coconut Flour before the sale ends on March 31st. Yield: Makes 8 biscuits when a mini loaf pan is used. In a large bowl, whisk together coconut flour, cream of tartar, baking soda and salt. With a pastry blender or 2 knives, cut butter until crumbly. Sprinkle with parsley and chives. In a separate bowl, whisk egg; remove and set 1 tbsp aside for glaze. Whisk in milk; pour over dry ingredients, tossing with fork to create ragged dough. Bake for 12 minutes or until a toothpick can be inserted and come out clean. Adapted from Herbed Biscuit Stars. I believe my mother found this recipe in a Canadian Living Magazine, date and issue unknown. Wow, Carol! Awesome job! These biscuits are so gorgeous! They just look mouthwatering and delicious. I love the idea of using mini loaf pans with the paper liners – can’t wait to try these, and so happy that the conversion was a success! “Coconut flour is like flour that has PMS all the time” LOL! It does take some experimenting to get used to coconut flour, but now I love it. Ha Ha! coconut has PMS-So true! Thanks for this conversion chart! I was about to give up on it but I guess will have to keep trying! I love Starlene’s book too! This recipe looks great – I may try adding it to my Easter dinner table! Thanks! We do not like cooking with Coconut oil, but I now buy “Tropical Traditions”Organic Expeller-Pressed Coconut Oil. It is Water Washed, NOT Chemical washed, as the other brands are.. I even use this oil to make Organic soy free eggs. and bake with it..
That said, we do like Organic coconut Flour. We think it has more of a sweet taste to it!! Looks like a great recipe! I have coconut flour but haven’t used it yet. Can egg substitute be used in place off eggs? I have never worked with egg substitutions and wouldn’t recommend replacing all the eggs in a coconut flour recipe. 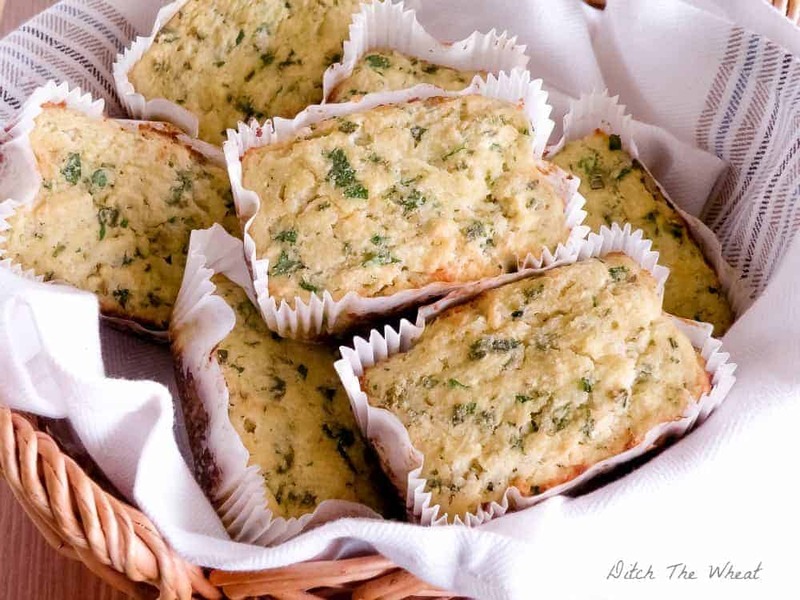 Egg free recipes work better with almond flour recipes than coconut flour recipes because coconut flour requires a large amount of liquid and the eggs would be the liquid and the binder in this recipe. These look just lovely! 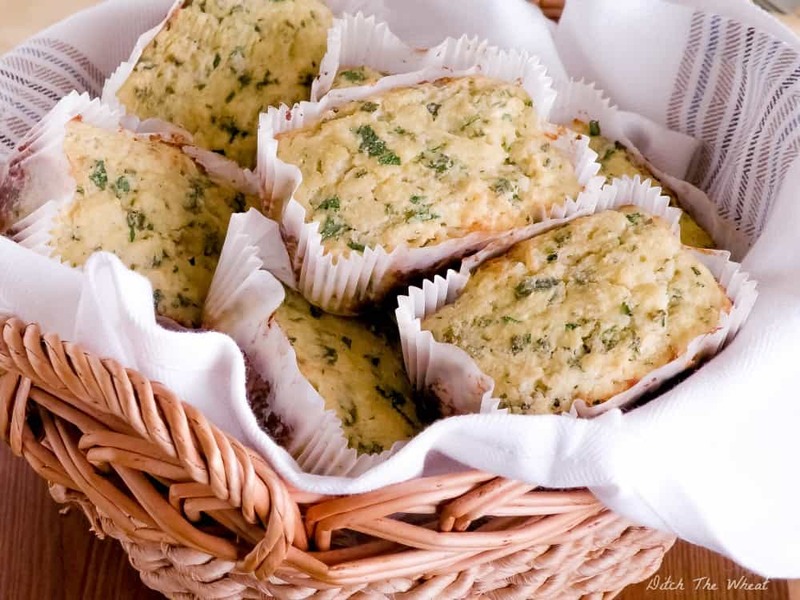 I’d like to try them sometime with the herbs and without, made smaller as breakfast biscuits. I’ll definitely have to try THESE! These sound great! One question – with all those eggs in the recipe, does the end result have an eggy taste? I don’t really like the taste or texture of eggs, which sometimes makes LC “bread” recipes not taste too good to me. Yum, this looks good! Can’t wait to dip this in almond milk. Hi Carol, Going to throw this in the oven but realized that the instructions say to preheat the oven at 450. Shouldn’t it be 350 because coconut flour is involved?!? I know you know your stuff but just wondered if that was a typo. I will come back and let you know if the 450 temp worked for me. I just made these, and they are fabulous! I wasn’t sure the dough was going to work (I processed it in my Ninja), but they came out beautifully! Best tasting paleo bread that I have tasted so far! Thank you so much for sharing! I bake a lot of bread, can you substitute coconut flour for all purpose flour? If so what would be the rules in making bread? I assume there are rules for the other ingredients that are involved. The cookbook shows you how to convert the recipe.